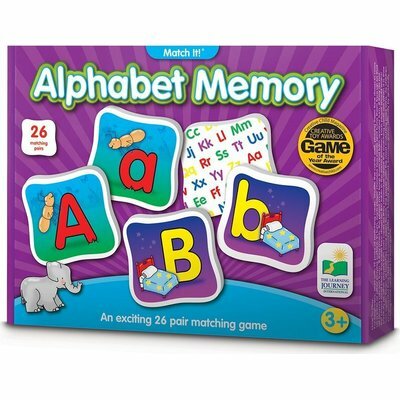 This fun alphabet themed memory game will challenge problem solving and develop memory skills of young children as they try to find a pair of matching letter cards. bright, colorful illustrations teach the upper and lower-case letters of the alphabet. a great family game for all ages.